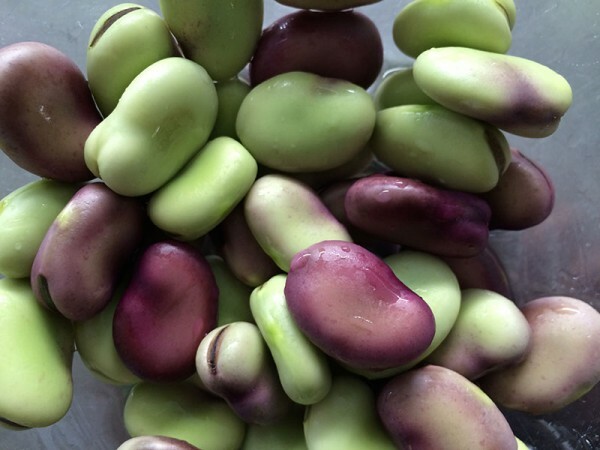 Violetta is a Broad Bean variety that seems to be commonly grown in parts of Italy. 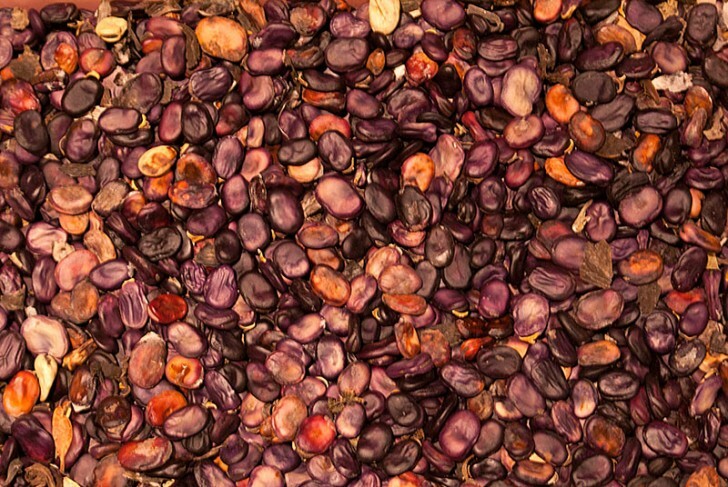 It has dark purple bean skins on maturity and the usual green inside. There can be some variation and some can just be a light green with a tinge of purple – or no purple at all. They tend to darken in colour as they dry out. They look distinctly purple and different from the Red Epicure variety. The pods are generally fairly long and hold from 4-8 or sometimes more beans. They are a long growing variety and can be quite large plants that can stand up to about 1.5m high. They are strong plants and can handle the weather well in the field and tend to only flop over a bit as they get loaded up with maturing beans. There are two variations I have grown – one that flowers and pods up early (Early Violetta) and one that can take a while longer (Violetta). The early ones are often the first Broad Beans to show flowers in late winter and early spring. The colour generally stays through cooking, and the have a good tasty and clean green broad bean flavour. This is what they look like at the mature stage before they start to dry and as they are colouring up. At this stage they hardly even need blanching.